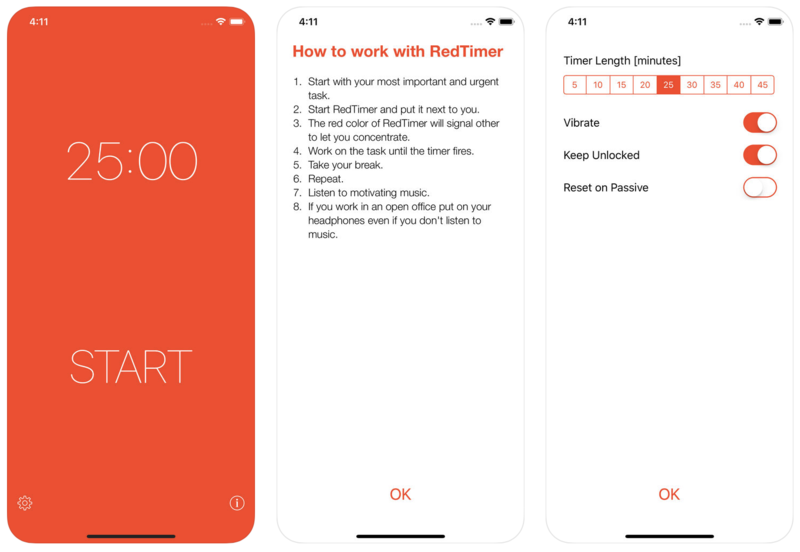 Welcome to the RedTimer, my new iPhone work timer! RedTimer is a reductionist timer that lets you work time-boxed and undisturbed. Technology can and should support us getting more focused and productive. It is much easier to get anything done when we work concentrating on a single task for a fixed amount of time. Pick your task, click start and begin working. 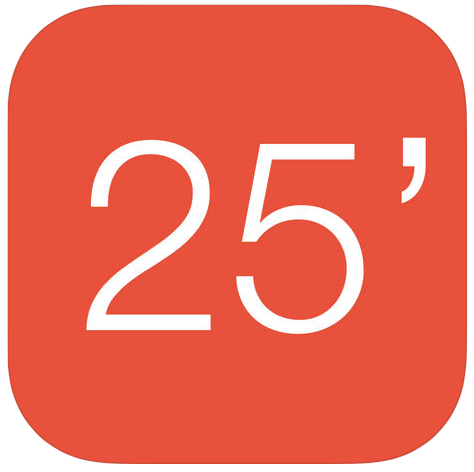 The timer will automatically set itself to 25 minutes. Taking this amount of time is a very effective way to work. A decent vibration will remind you of your hard-earned break. The app keeps the screen unlocked and bright red until the timer fires. It dims and locks the iPhone after that. The red color signals your friends and colleagues not to disturb you. Install RedTimer on your kids’ Apple gadgets. Show them that focus is a key factor for increased productivity and thus more free time. Thank you to all customers for purchasing RedTimer! We value your feedback and strive to provide excellent application stability, optimised usability and modern appearance. Force vibrate beep if vibration is turned on.